LOS ANGELES--(BUSINESS WIRE)--Vincent Cordero and David Torres have launched INVIVO MEDIA GROUP (www.INVIVOLive.com), a privately-held 360 brand and business amplification company including live music promotion, talent commercial partnerships and strategic media consulting, with a particular focus on the U.S. Latino and the Latin American marketplaces. 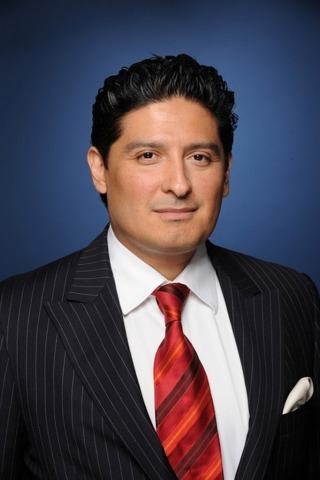 Cordero serves as Chief Executive Officer, while Torres is President Live Events. The company will initially have presence in Los Angeles, New York, Chicago and Miami. In its first year, INVIVO Media Group will produce and sell 100 premium live music events across the U.S., making it a Top-2 U.S. Latino live music promotions company and one of the country’s Top-40 live music promoters in tickets sold. “INVIVO Media Group has three main vision pillars: create premium live music experiences; expand the reach of music artists to new fans across the world; and drive media industry prioritization of Latino artists and fans,” said Cordero. Recent data demonstrates the tremendous growth potential of the U.S. Latino live music marketplace. PricewaterhouseCoopers Annual Media & Entertainment Outlook report found that live events drove more than 60% of the entire music business in 2016. Also, Nielsen Music360 2016 highlighted that Latinos spend 100% more on live music than the average consumer. Additionally, the 2015 U.S. Census reveals that Latinos comprise 50% of the nation’s population growth since 2000, and now represent 21% of all millennials. One of INVIVO Media Group’s first initiatives is the 2017 U.S. tour of Billboard Latin “Artist of the Year” nominee Ozuna, which begins May 26. INVIVO is co-promoting half the tour dates including New York, Los Angeles, Chicago, Houston, Dallas, Las Vegas, Orlando, among others. In addition to major music endeavors, INVIVO Media Group provides strategic media consulting for domestic and international sports organizations, involving fan base development, media rights licensing and distribution, sponsorship growth as well as live event expansion in the U.S. and Latin America. For 18 years, Cordero has served as a business innovation leader in U.S. and Latin American media, with an impressive record of partnership development, brand expansion, content platform creation and sponsorship sales. Cordero previously served as COO of HBO Latin America, EVP & General Manager of FOX Deportes, and VP & General Manager of Univision Chicago. With 28 years of experience, Torres has distinguished himself as one of the top independent live music entrepreneurs in the U.S. in terms of tickets sold, artist promoted and venues owned and promoted. INVIVO Media Group’s senior leadership consists of best-in-class leaders from industry leading media, music and sports organizations, including Patrick Crakes. A former U.S. Army officer, Crakes’ media career spans 24-years, most recently serving as FOX Sports SVP of Programming, Research and Content Strategy. Crakes is INVIVO Media Group’s EVP Strategic Insights and Business Operations. INVIVO Media Group has also assembled an Advisory Board comprised of icons and trailblazers from the worlds of media, music, sports and advertising to help guide its development. The Advisory Board members are: David Hill (Hilly, Inc. founder and former Chairman of FOX Network, FOX Sports and National Geographic Channels); Tom Arnost (Chairman Mobiquity Technologies and former Univision TV Group President); Elliot Groffman (A Billboard “Top Music Lawyer 2016” and Partner at Carroll, Guido & Groffman); Roberto Orci (Owner/President Acento); and David Weinberg (Magic Leap VP Content Business Development and former Universal Music SVP Business Affairs).